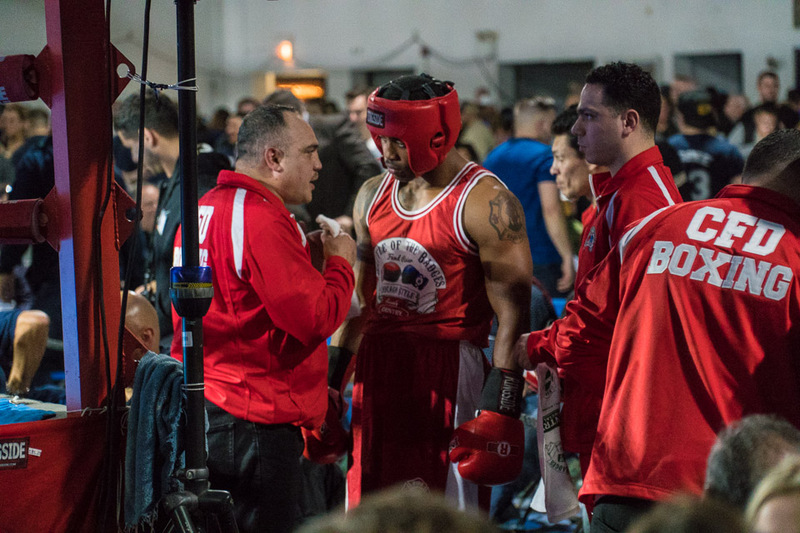 Each year, the brave men and women of the Chicago Fire and Chicago Police Departments meet up in the ring for a series of exhibition fights. With the help of sponsor Country Financial, the matches raise funds to support families of fallen firefighters and officers. 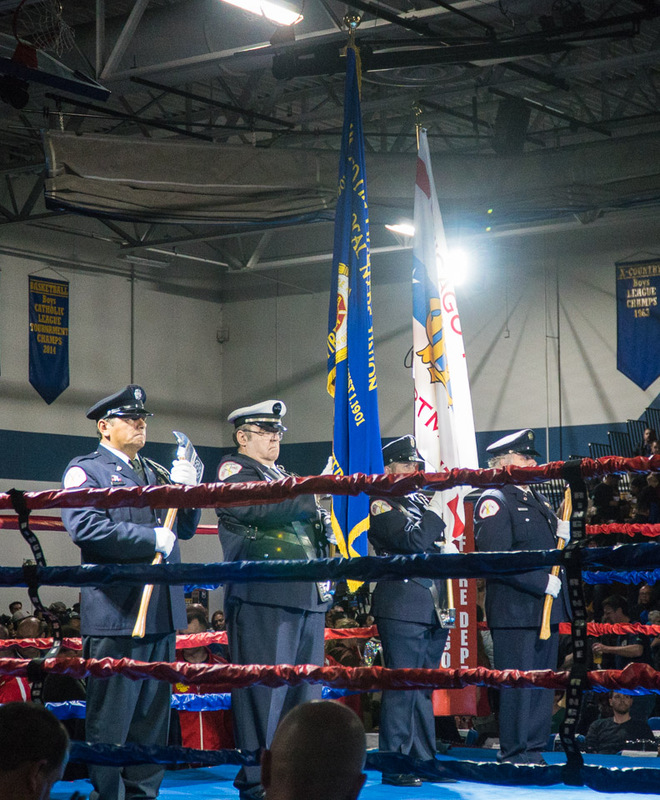 A ceremonial parade featuring the Color Guard and marching bands commemorates the start of the evening's festivities, and ends in the boxing ring. Sponsor Country Financial donated $25,000 during the night, and offered up to $10,000 more via a social media campaign. 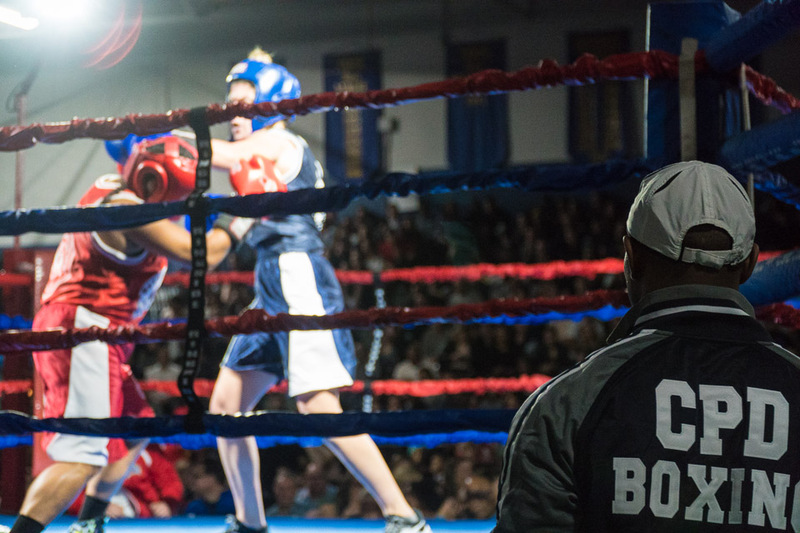 Both the firefighters and police officers boxers have a full complement of support in the ring, from coaches to medical personnel to keep them safe. 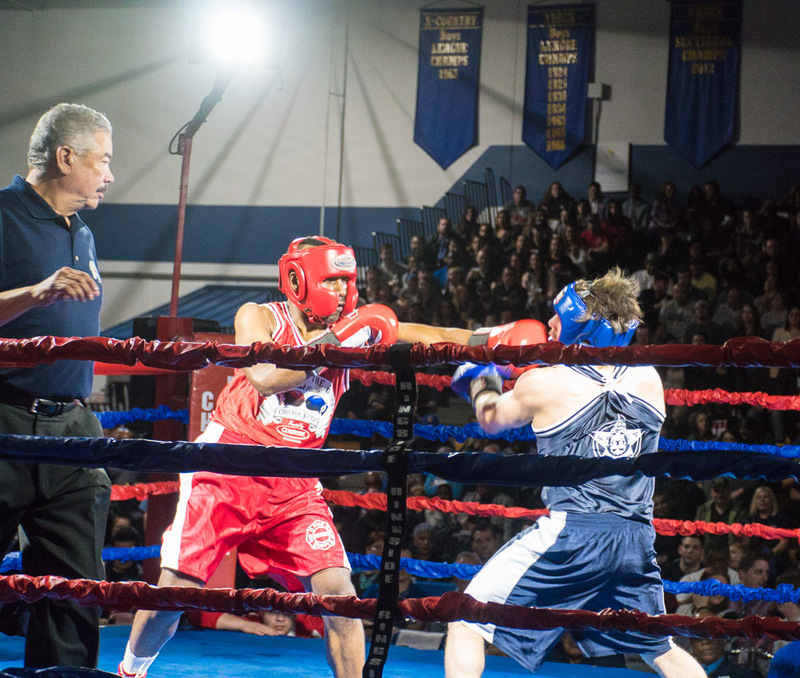 During each fight, the crowd cheers on their chosen team, and the place is electric with chants of "CPD" and "CFD" from the fans. 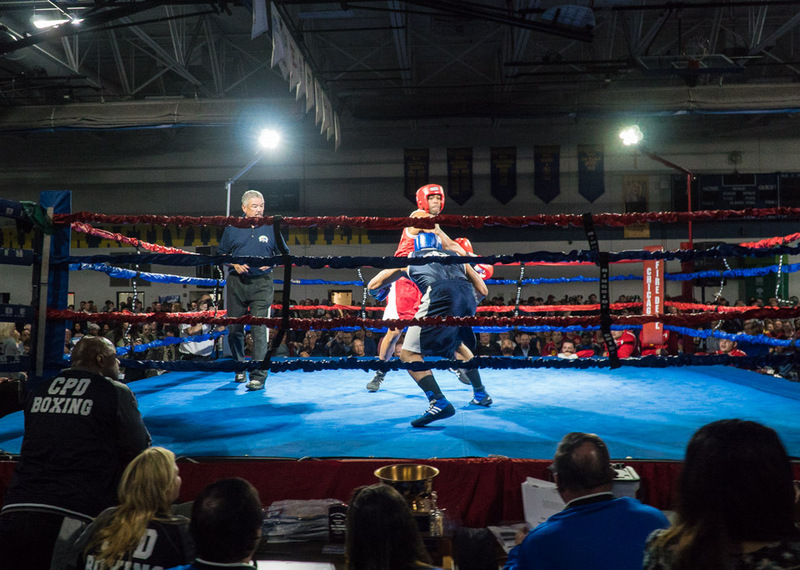 While the action in the ring was thrilling, behind the scenes, the funds raised went to some great charities, including the Gold Badge Society, Chicago Police Memorial Foundation, Ignite the Spirit Fund, 100 Club of Chicago, and the EMWQ fund. 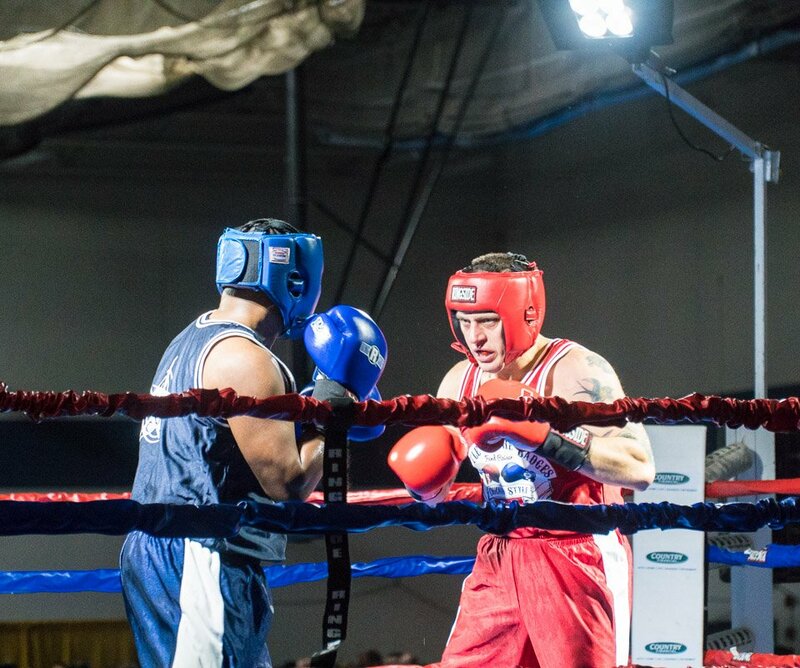 2017 represented the 15th anniversary of the Battle of the Badges. 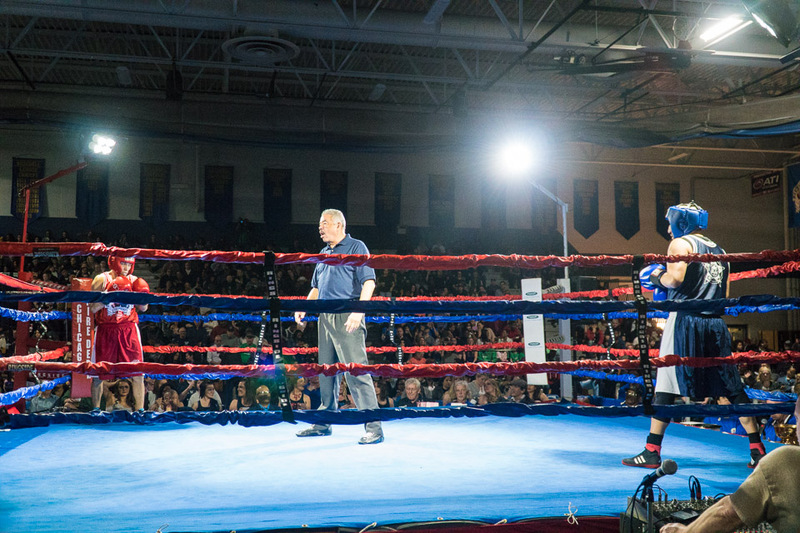 Chicago's De La Salle Institute played host to this year's fights. 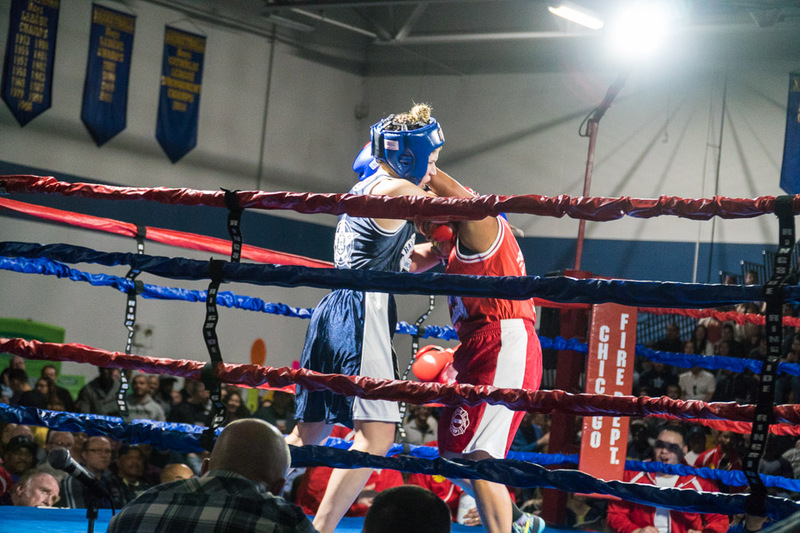 The boxing isn't just open to men. 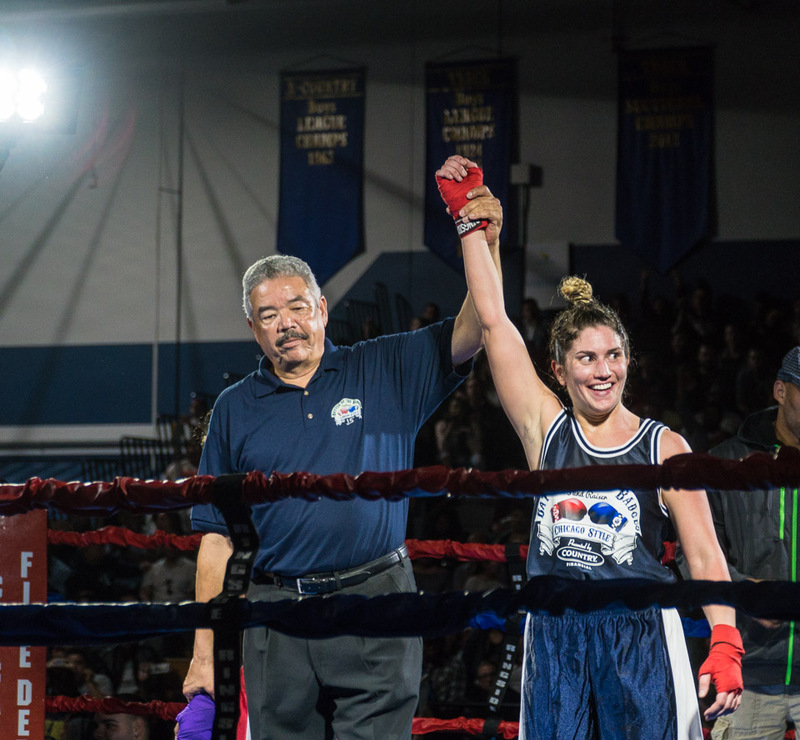 Some of the most intense and impressive bouts come from female fighters. The police won this battle, but the firefighters claimed numerous victories too. It's all in good fun, and all for a great cause. 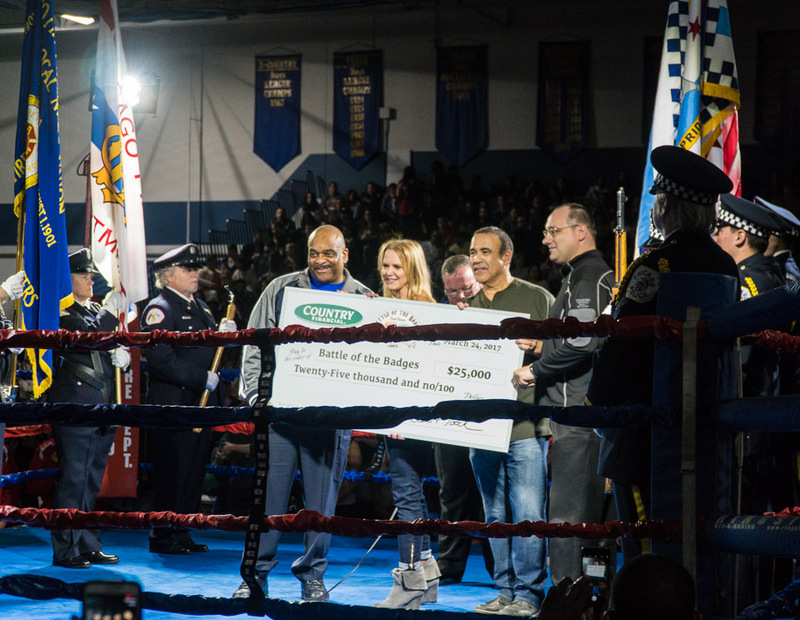 For more information on Chicago's Battle of the Badges, be sure to visit their website.